You don't have to go through your divorce alone. The Peck Law Firm is here to help you during this difficult time in your life. With three offices conveniently located throughout the Lowcountry area, we promise to give you the individual support and attention you need. Our legal team is dedicated exclusively to practicing divorce and family law, and we were recently voted 'Best Family Law Firm' in The Post and Courier. Contact us today for a free consultation. Together we can work towards a better future for you. Getting a divorce is never easy, but it can lead to a better future for you and the ones you love the most. 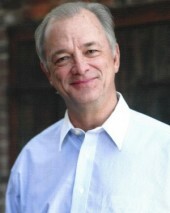 My name is Ken Peck and for 35 years, I have helped people solve their divorce and family law issues. My goal has always been to help people during their time of need, not judge them. Call me today for a free consultation and together we can work towards a better future.